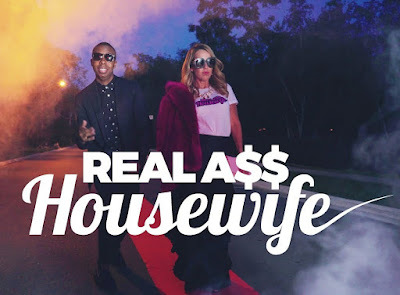 iRealHousewives | The 411 On American + International Real Housewives: Real Housewives Of Toronto Star Kara Alloway Stars In A Music Video All About Herself — Watch It Here! Real Housewives Of Toronto Star Kara Alloway Stars In A Music Video All About Herself — Watch It Here! Real Housewives of Toronto star Kara Alloway has dropped her first-ever music video, which is an exaggerated parody of herself. The track, appropriately titled “Real A** Housewife”, is a unique spin on the typical “Housewives” single. On the song, Alloway doesn’t sing at her, but she struts her stuff in the music video. Jordan Grant, a fourth-year engineering student from the University of Waterloo, raps on the track and drops some lines about Alloway’s glamours lifestyle. In the video, Alloway ventures to some of Toronto’s chicest neighbourhoods. “Go to Yorkville and everyone is looking at me/Kara Alloway, the real a** Housewife” Grant raps. Also featured in the video is a shirt Alloway is wearing with the song title on it. She is selling the shirts for $25 and all of the proceeds will go to U For Change, a program that helps mentor at-risk youths. What are your thoughts on the music video? Do you love it or hate it? Sound off in the comments below!